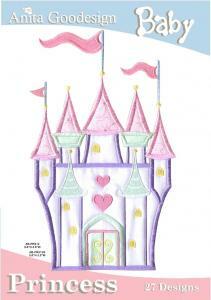 Turn your little ladies crib into a fairy tale. We'll give her everthing she needs to aid her in finding Prince Charming. We accessorize her with her carrige, magic wand, unicorn for night flights, crown and even a fairy to help her with her journey. All baby collections include applique designs, stuffed animal designs and project instructions for quilts, diaper bags, bumper pads, wall hangings and mobiles.